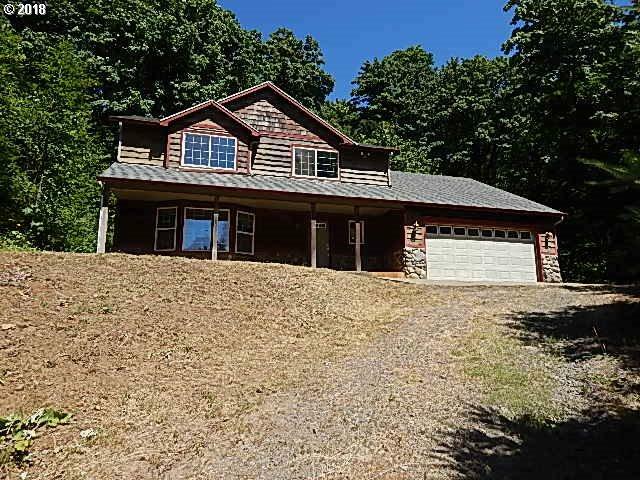 This HUD owned home set on 10 treed private acres at the end of a private drive in the Washougal River rec area! This custom home features 2,643 square feet of living space with a large living room, formal dining, open kitchen with dining area, family room with wood stove, 3 bedrooms, bonus room and den! Possible that property can be sub-divided into 2 five acre parcels; buyer to verify with Skamania community development.